whyknotmom | A little something special. I am totally embarrassed that it has taken me 2 weeks to write this post. 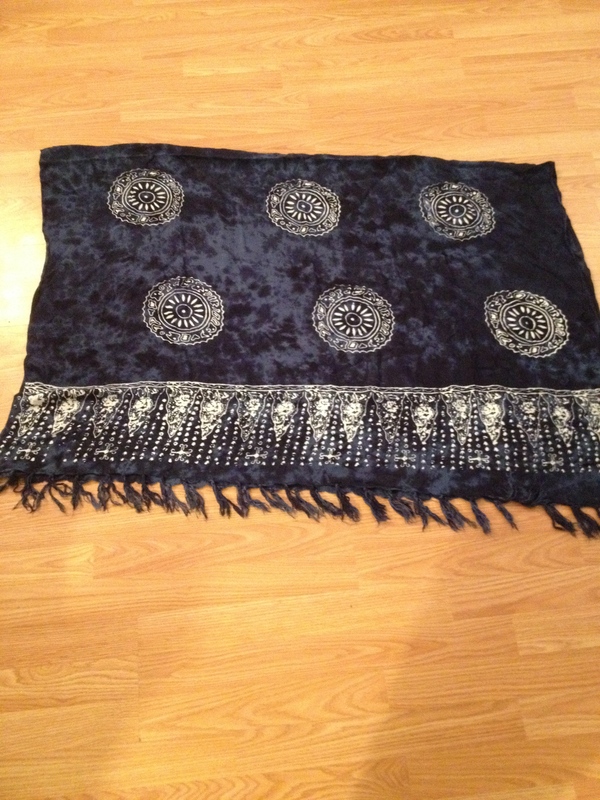 I did this DIY on April 19. I know it was the 19th because that is my Nana’s birthday. The kids and I were going to visit that day, but she wasn’t feeling well so we ended up having an unexpected afternoon at home.. and unexpected time for a project!! 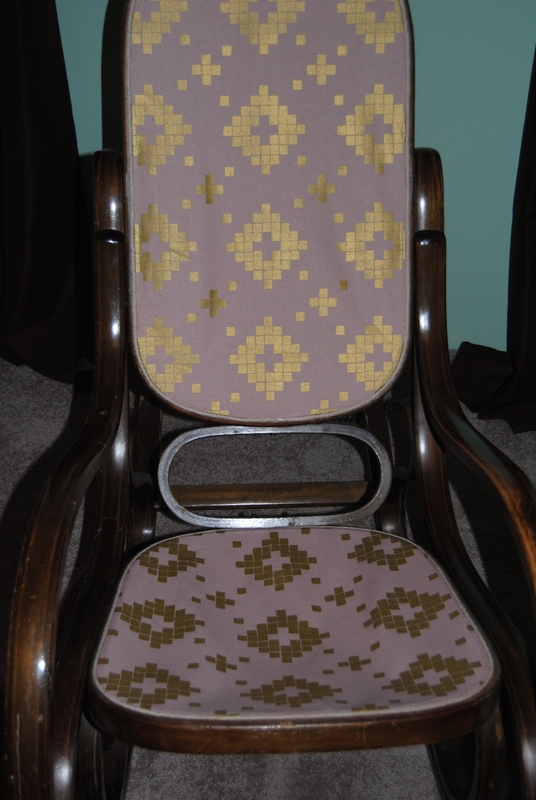 I have had this rocker in my possession for my entire adult life. 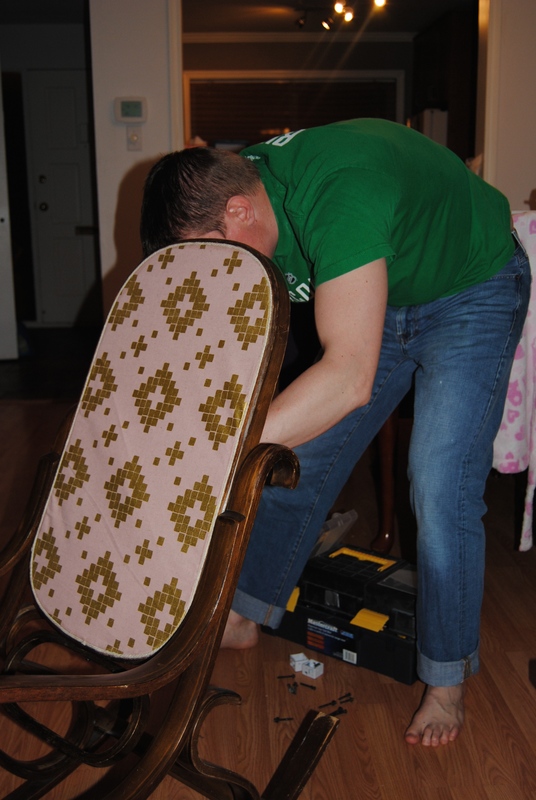 When I moved in to my first apartment at 20 the rocker came with me. I didn’t know I was quite so attached to it until it broke and we were trying to decide what to do with it. You can’t just part with something you have rocked your kids to sleep in! And actually it was my parents before mine so I was rocked to sleep in it oh so long ago. 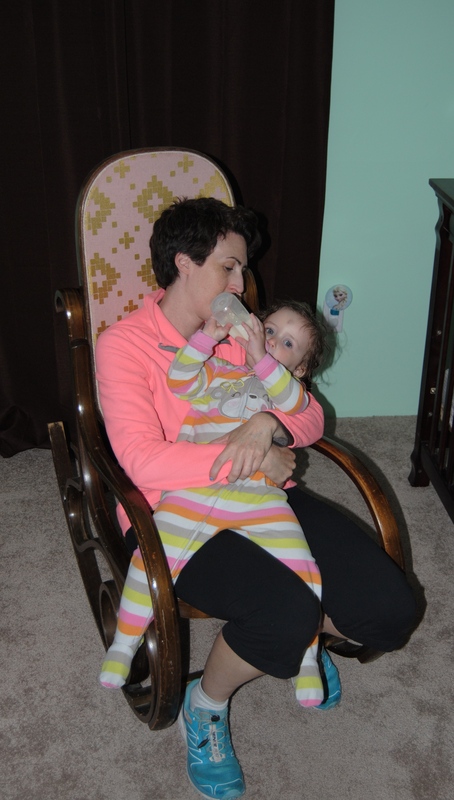 Anyway, Skyla and I have a particular connection to the rocking chair as every night after her 2 books she and I rock and sing songs together. It had to be fixed! The blankets made it useable-ish. 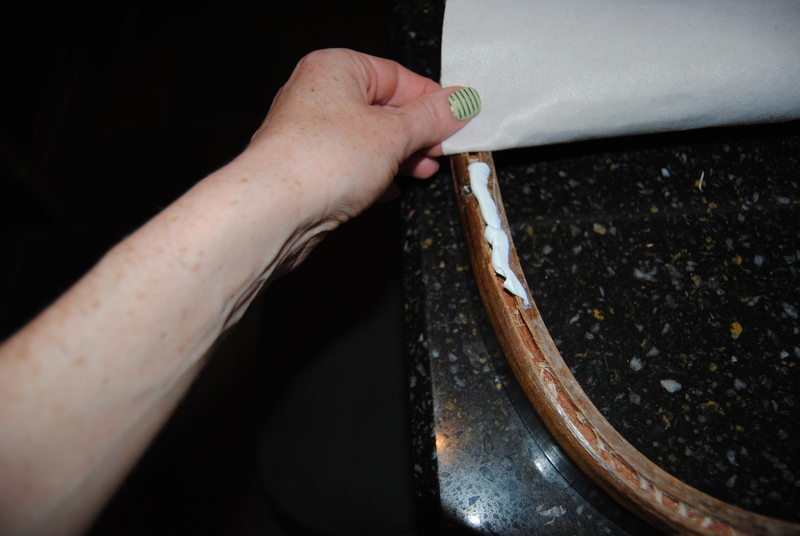 rag appropriate for wiping away glue. 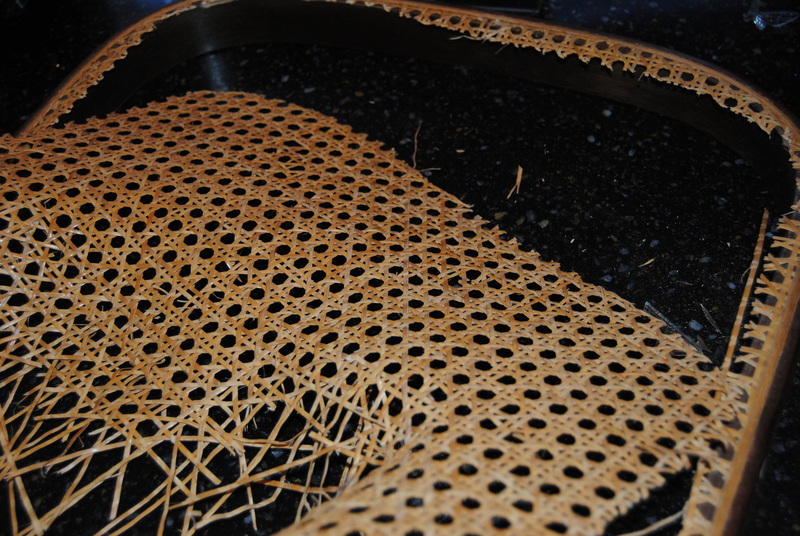 Cut away excess wicker. Leave a little bit to help you pull it all out. Do make sure you leave some to grab on to! Run the wood/wicker under water. Be patient here. I did google how to do this. I even listened to a creepy computer voice tutorial… which I had to stop about a minute in because it was just too creepy. They all said water would loosen the glue. And it did, but it did take some time. I had a towel underneath eventually and an apron on. It was messy! 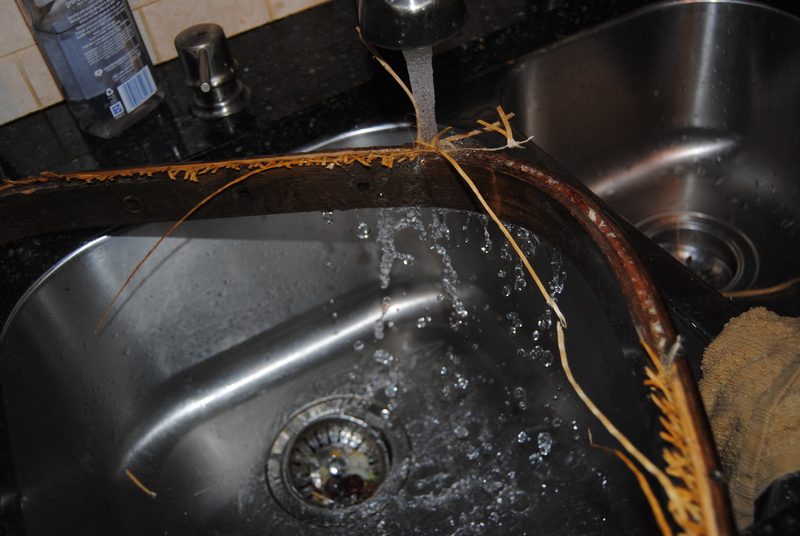 Pull all of the wicker and wood out of the channel. Again I’m going to say be patient here. It took me some time. Once I got going it went relatively quickly. I tried using gloves but tore a hole through them. 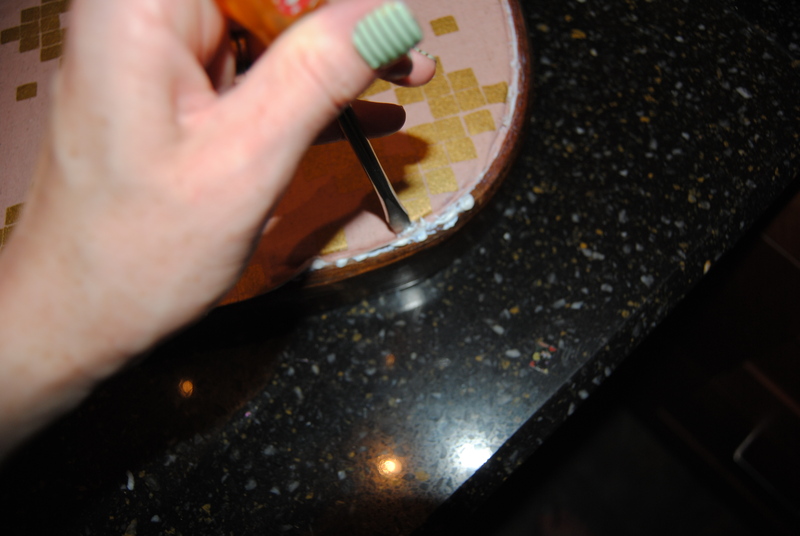 I eventually used the pliers which did help.. It was not a kind project on my hands, lets put it that way. Let it dry. I put the hoops outside and let them dry while we did our dinner and bath and bed routine. It was a few hours. Not sure it needed that long, but they were dry by the time I got back to them. 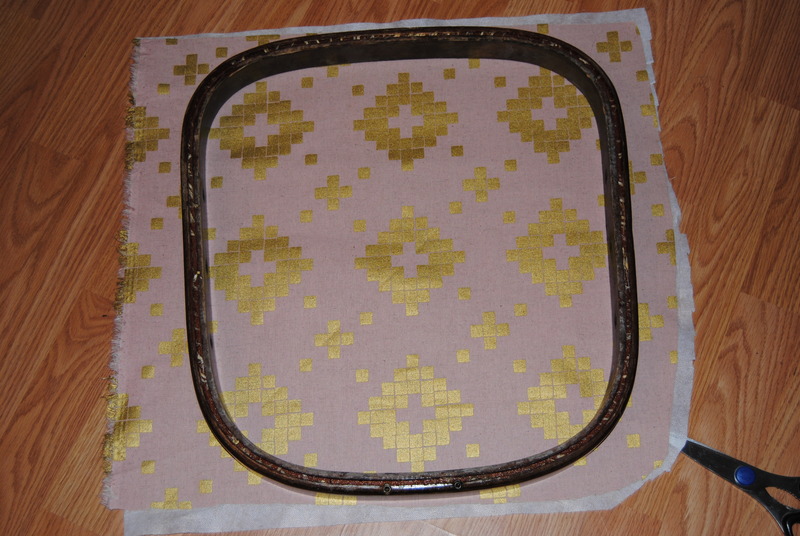 Trace the shape of the hoop (outside) on your fabric. I did exactly that shape! 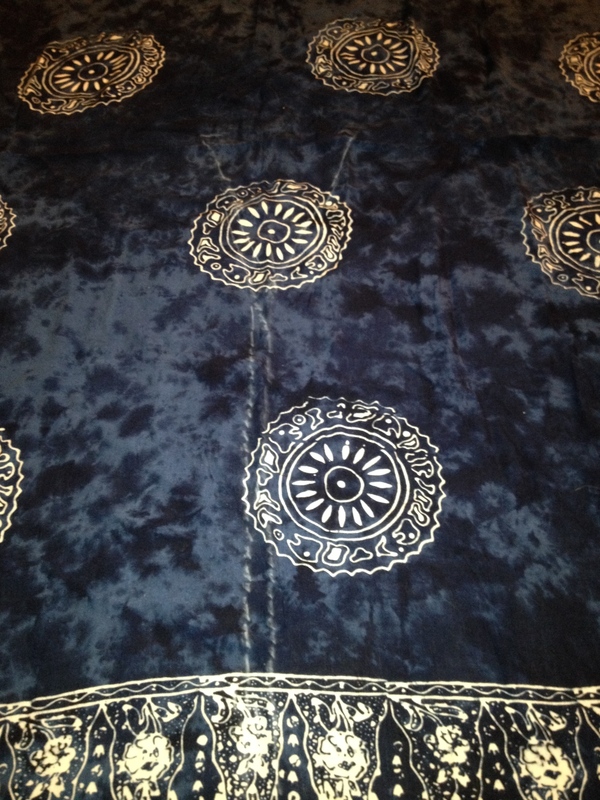 Iron on interfacing. 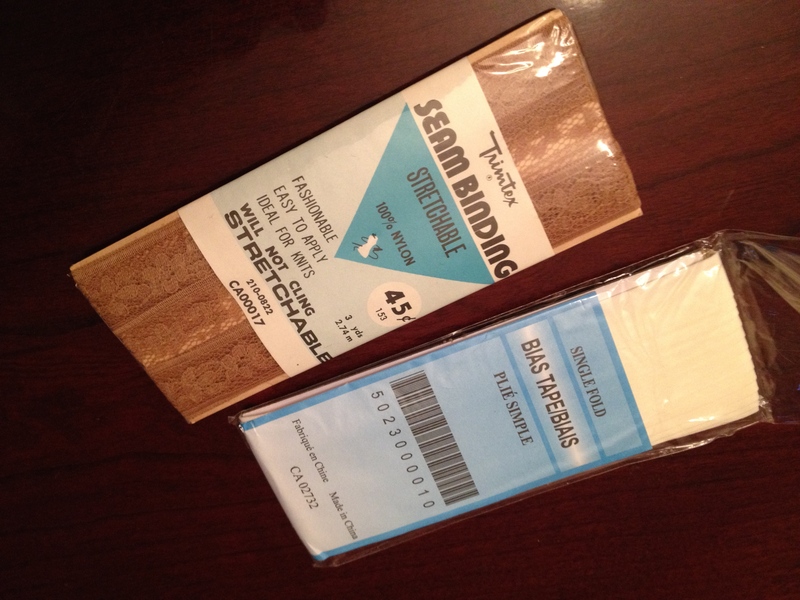 (To the back of the fabric!) 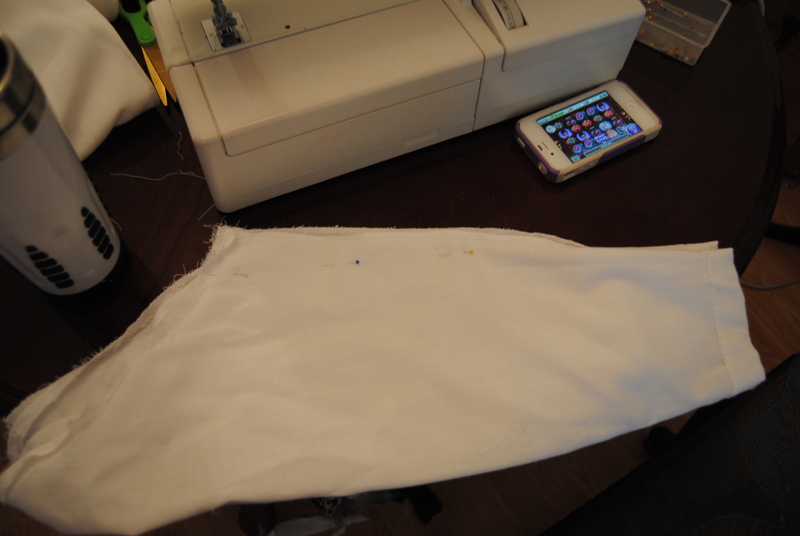 I wanted to make the fabric as thick and sturdy as possible. You can do step 7 before 8 as well. 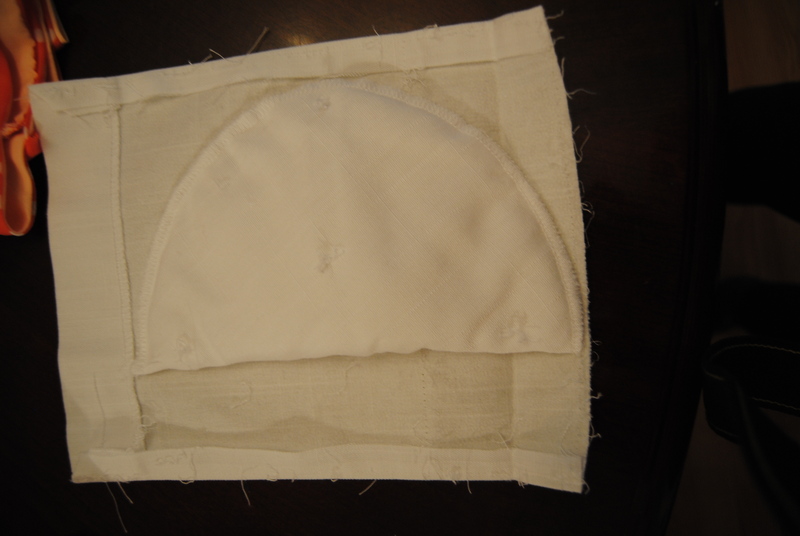 Line up/lay out the fabric so you have it all going in the right direction. Apply glue liberally in to the channel. 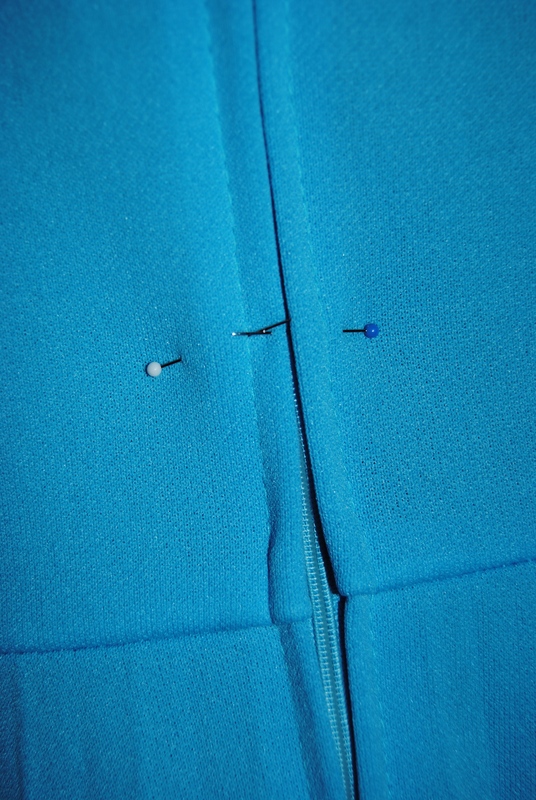 Place/shove/tuck fabric in the channel. I used a screw driver here to shove it all in. 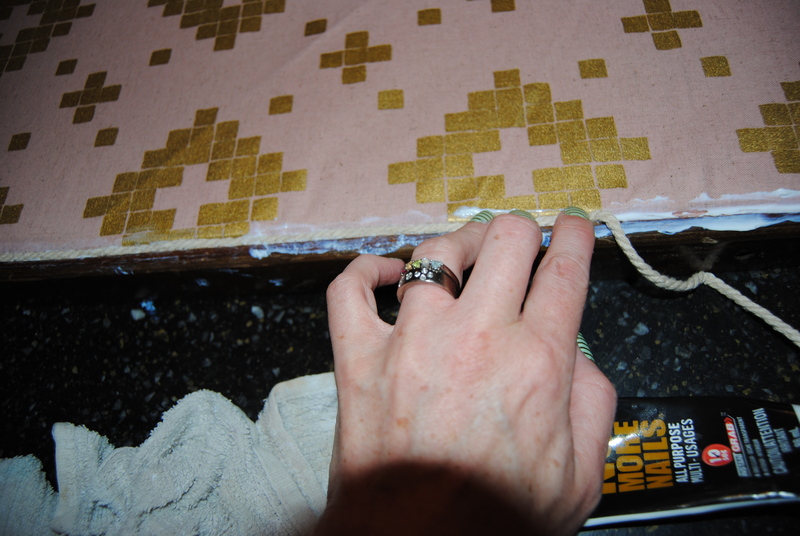 I started with the 4 corners and then filled in the rest of the spaces with glue/fabric until the whole things was done. Cross fingers that it would hold when sat in/on. I let the chair dry overnight and wouldn’t let the girls touch it in the morning. They admired and wanted to sit in it but it was left to dry all day. 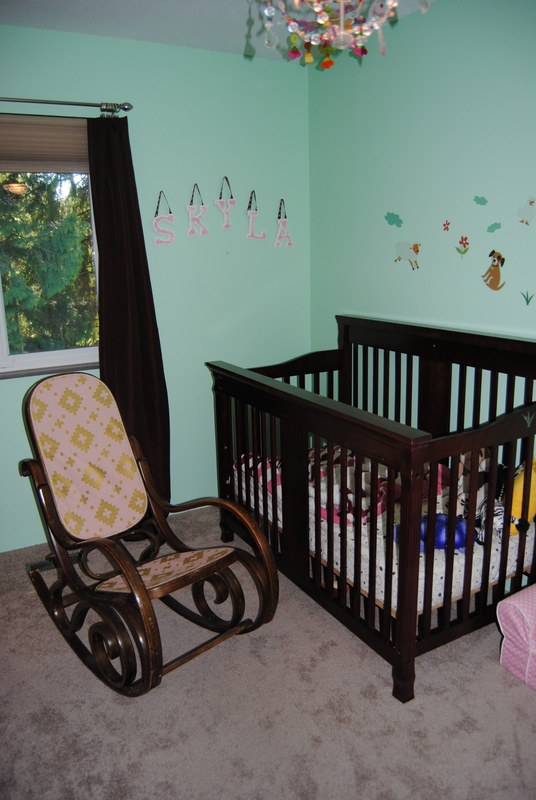 I got home before everyone else that day and tested it and put it back in Skyla’s room. So far (2.5 weeks) it has been fine. Below is a picture taken today. 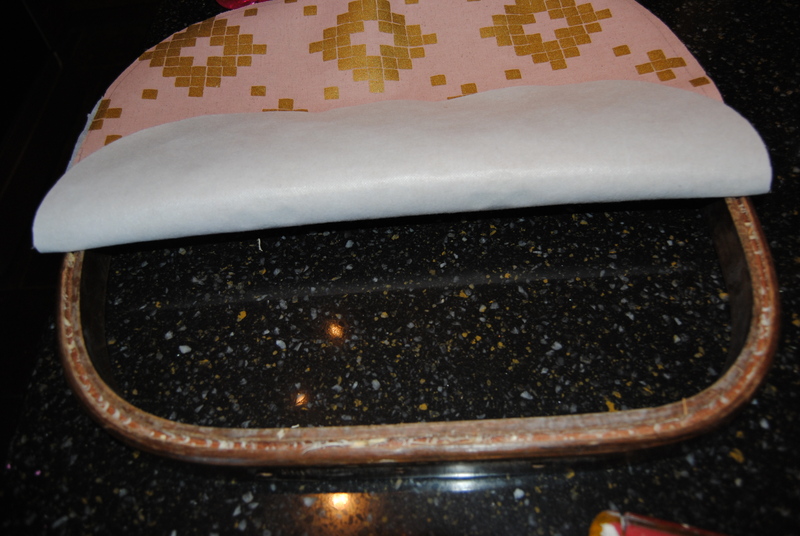 The fabric stretched a little bit initially but seems to be holding this shape. After 2.5 weeks of daily use! So not going to get this for much longer! Don’t know if I would recommend doing what I did, as (again) I am not sure how it is going to hold up. I do know mine turned out cute and will likely last us until she no longer wants to sit in my lap and sing songs before she goes to sleep. As an aside, everyone that has come in to our house since has been taken in to her room and shown the chair and told “my mommy fixed it”. If that doesn’t make it worth the time and effort I’m not sure what would! 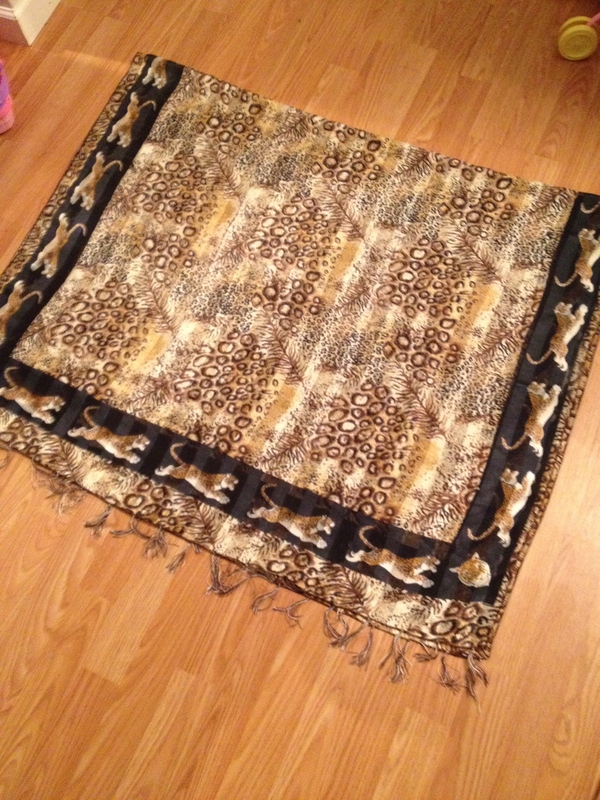 This entry was posted in Misc and tagged DIY on May 7, 2015 by whyknotmom. 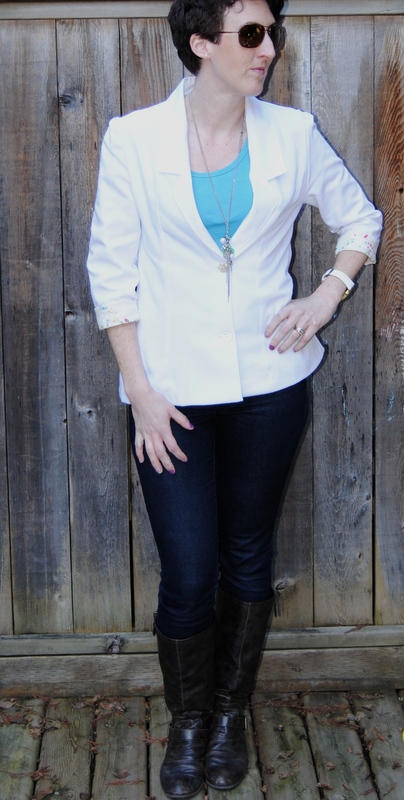 This is a super easy refashion! 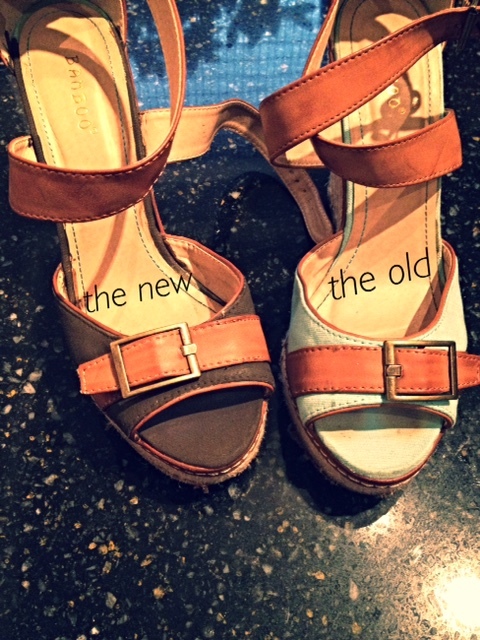 Sometimes you find used/vintage items that only need very small fixes to work with today’s fashion trends. Some pieces are classic and never really go out of style and those are the real finds. 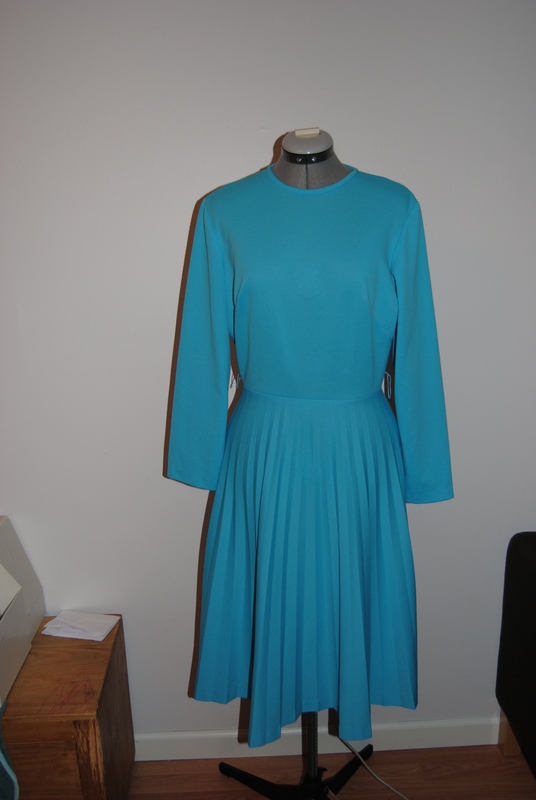 So this dress had this classic accordion pleat in a “midi” length. Not my first choice of colour but definitely not a deal breaker. 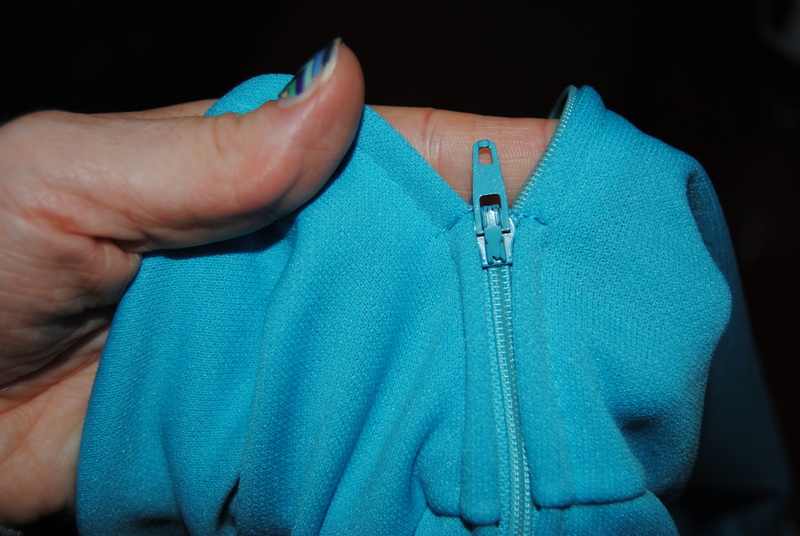 Luckily the zipper was in the back. 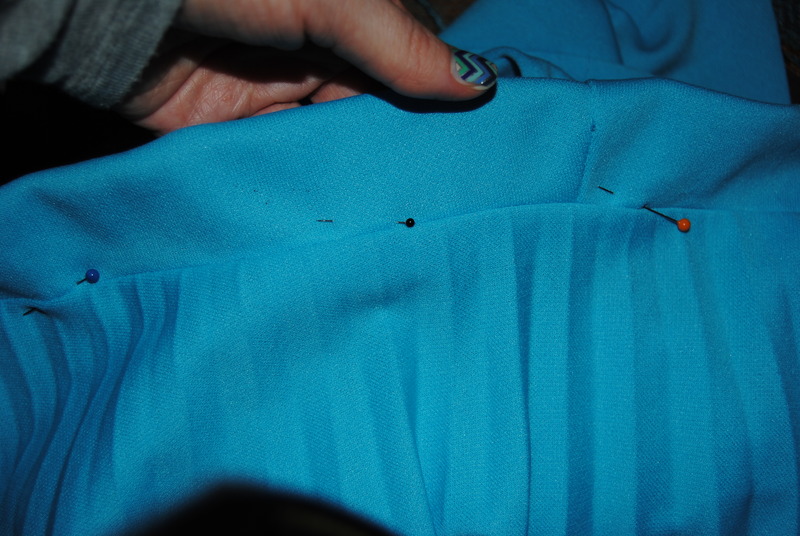 First thing I did was mark where I needed the zipper to stop and sewed a couple of quick lines so that I didn’t lose the zipper when I cut the dress in half. 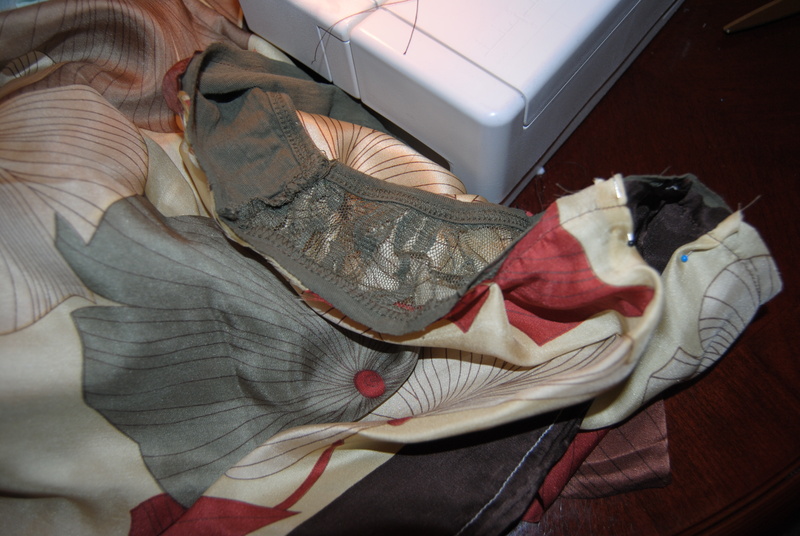 And chop and pin down to where I wanted to sew. 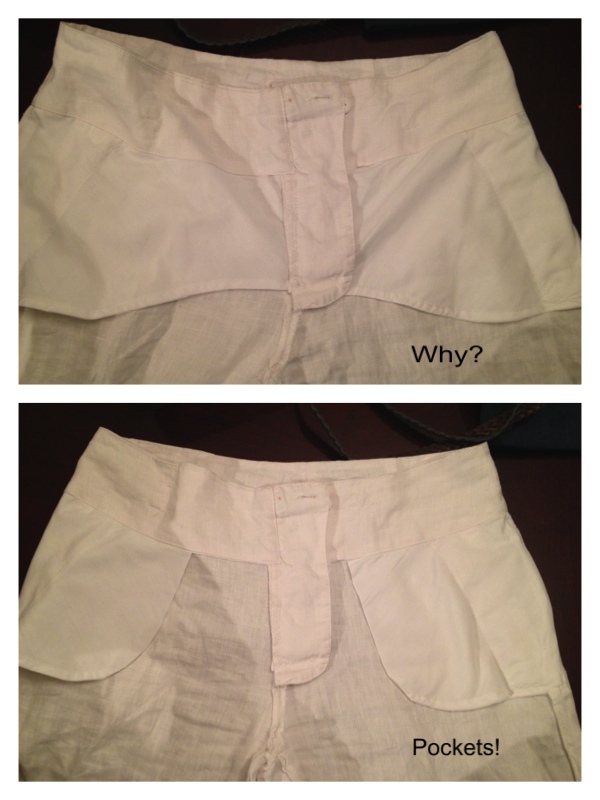 I followed the line where the original top was attached to the skirt. All I had to do was wait for an appropriate (spring) day to wear it. That day came yesterday! LOVE! I have so many tops that I can wear with it to dress it up or down. And the colour is great for this time of year. 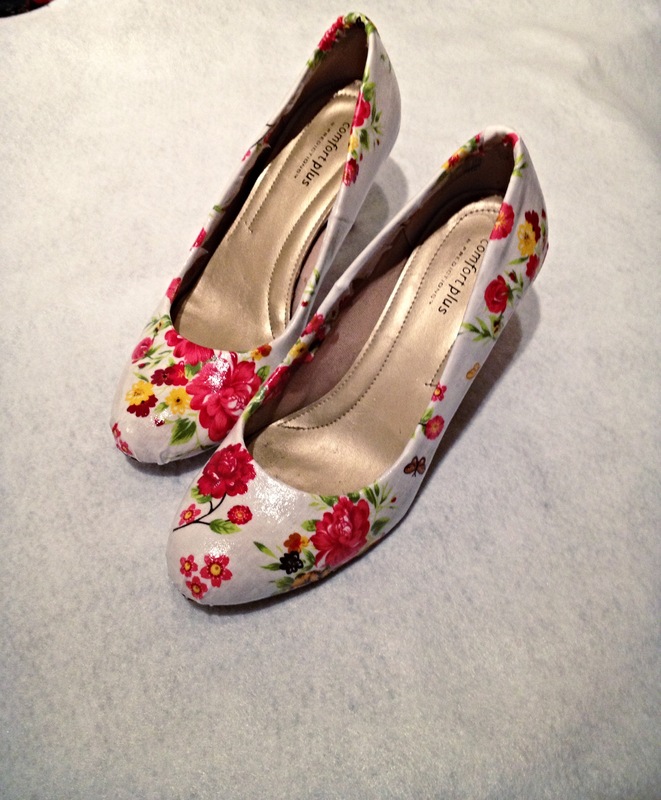 I was even given a beautiful pair of used floral pumps this week that go perfectly. 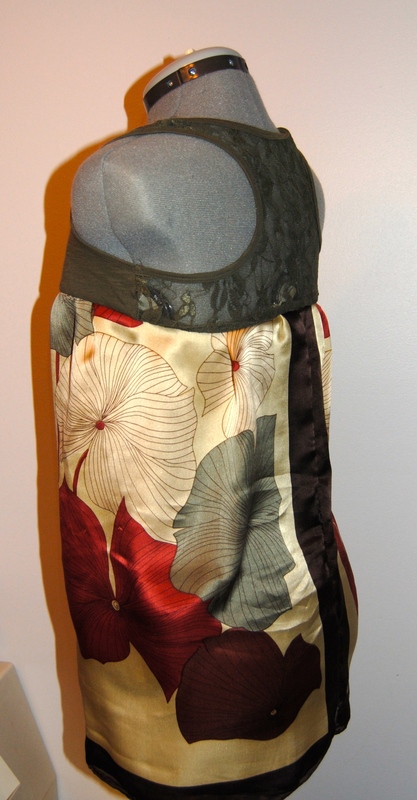 This entry was posted in Refashion and tagged DIY, refashion, sewing, upcycle on April 10, 2015 by whyknotmom. I was busy last week planning and packing to go to Las Vegas with my girlfriends. One thing I was lacking was a cover up. 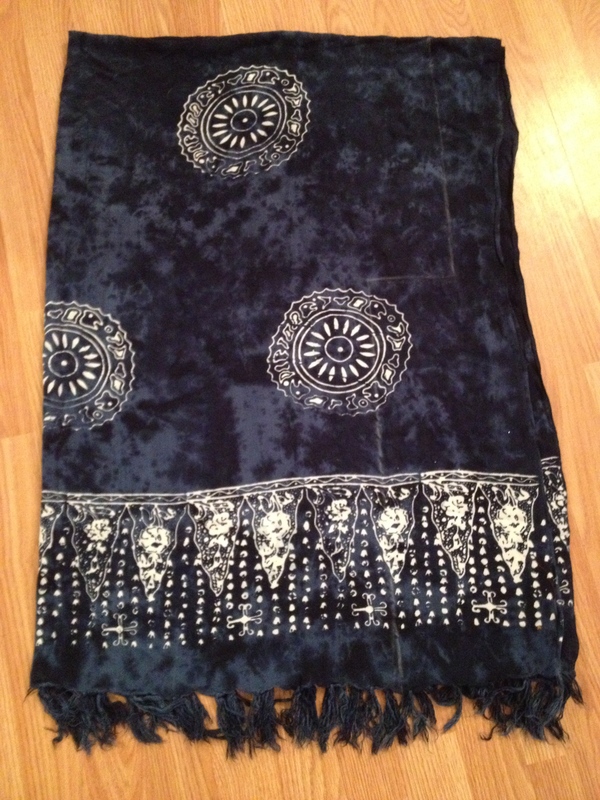 I had an old sarong but I’ve always found them really annoying unless I remember to bring safety pins. 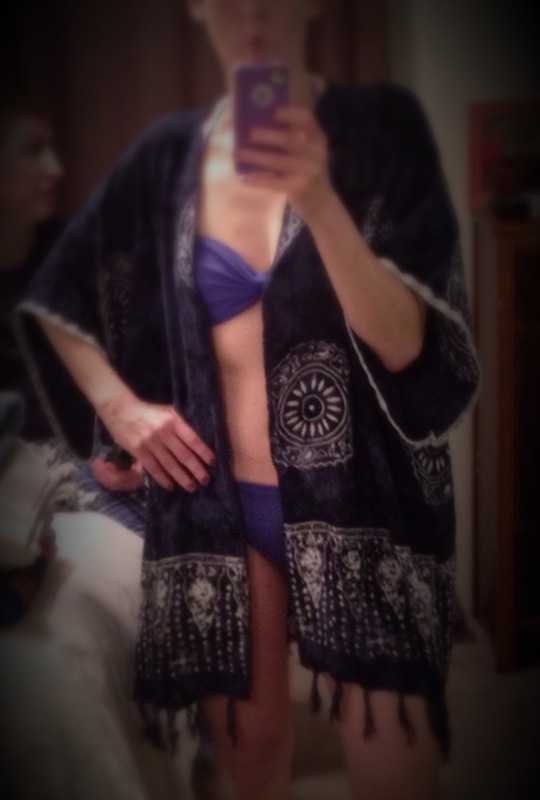 Besides, I wanted something to be able to cover up my shoulders (I have a very low sunshine tolerance). Light bulb! 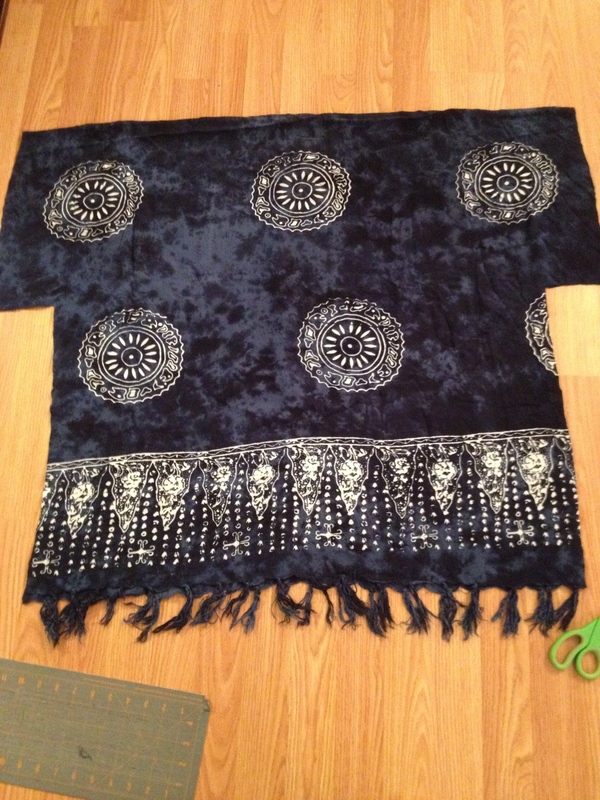 I held it up and figured it would probably be the right size to make a kimono coverup. So I folded it over again and drew out the shape using a ruler and chalk. I didn’t measure, I just winged it. I figure with something like this there is a fairly large margin of error. Then I drew out the front and neck opening with the chalk again and cut. 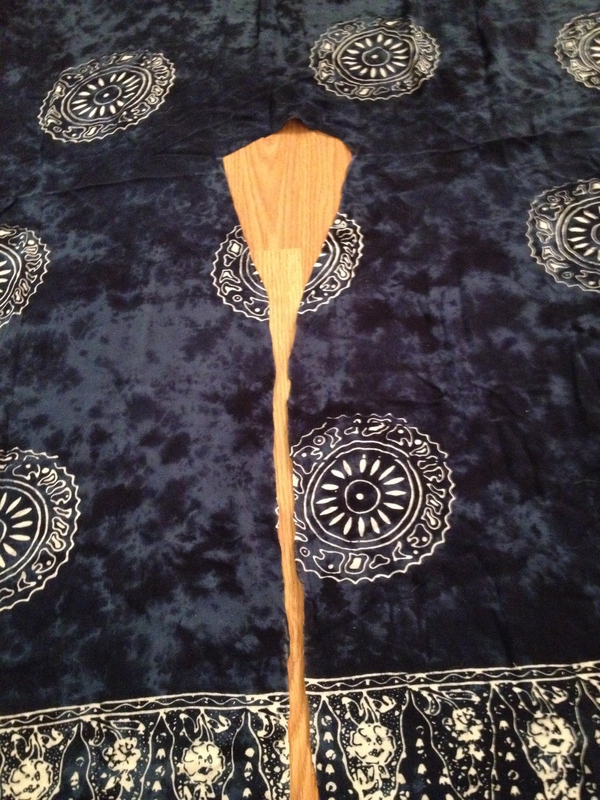 I made sure to open up the fabric before making that chop so I didn’t cut the back of the kimono. 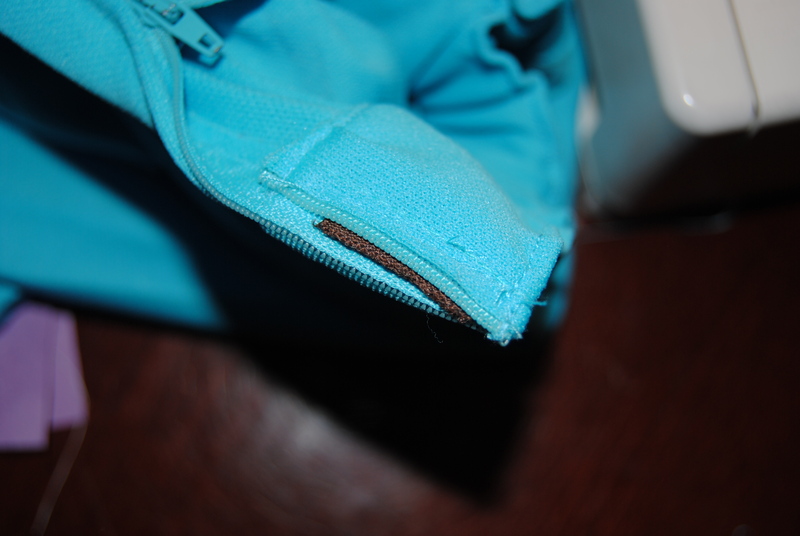 Sewed up the arms and sides with a straight stitch and zigzag so it wouldn’t fray. Finished and tried it out! Oh but the fun didn’t stop there because I sent this pic to one of the girls coming on the trip, who also works in my office. She wanted one too and her sarong was on my desk the very next morning to play with. And the cheater tools for hers. 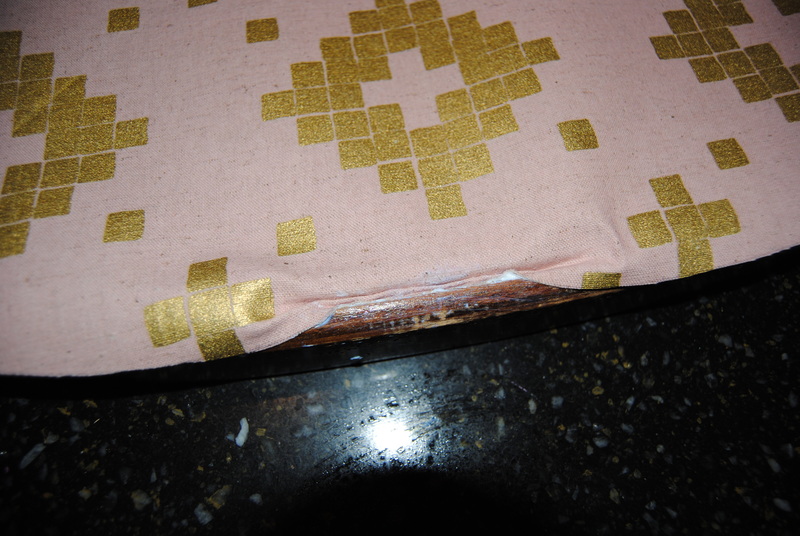 I bound the side seams with the bias tape. 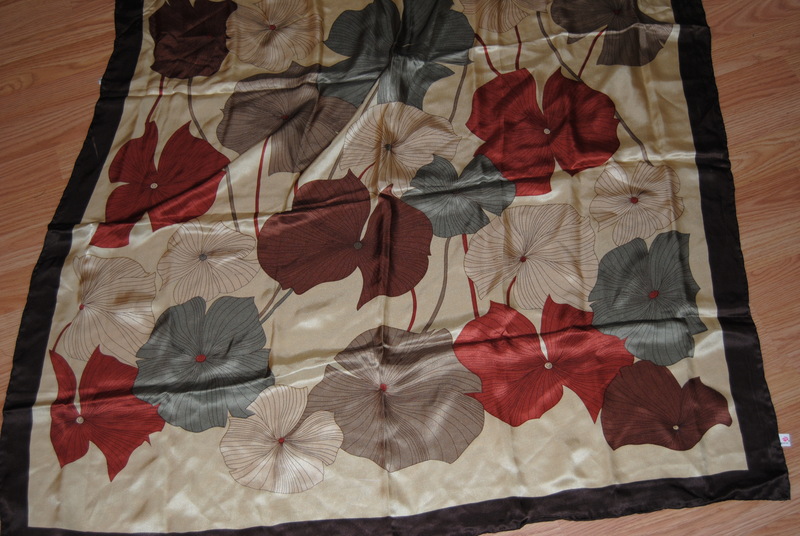 It was such a light, sheer fabric I wanted to make sure the seams held. And here we are in our perfect beach cover ups for a Las Vegas pool party! We should have really taken a pic a couple hours later when the place was so packed we could barely move! 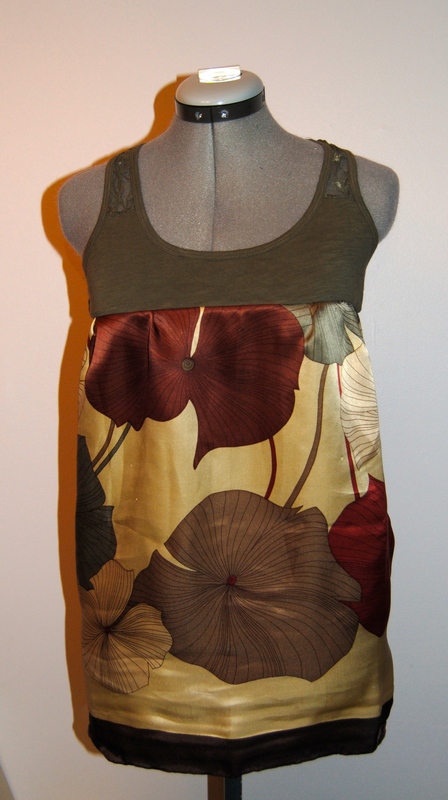 This entry was posted in Refashion and tagged DIY, handmade, refashion, sewing, upcycle, whyknotmom on April 7, 2015 by whyknotmom. It has been another busy month round these parts. I am off to Las Vegas in 3 sleeps and that is absolutely the way I like to go. Work like crazy, lots of fun thing with the kids and then go and relax. Don’t worry, I did have time for a few refashions. In a continued effort to fix things in my own closet when I get the itch to have something new I was able to find a few things to tinker with. 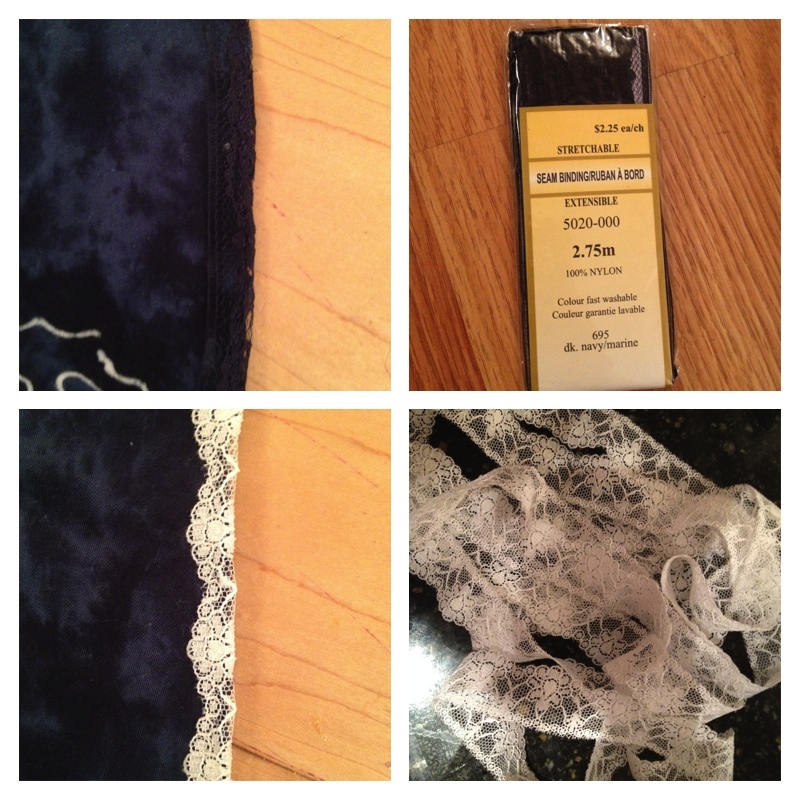 One is a new (to me) item from my cousin but the others came from my closet. 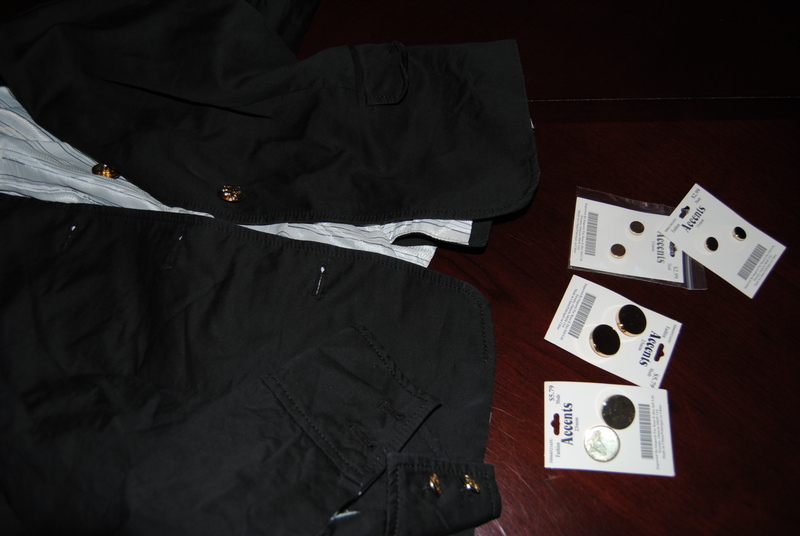 First up a quick button fix for a blazer that was too small for my cousin and missing a button. She and I have a very different sense of style. Mine is a lot more toned down. So while I liked this blazer and a gold buckle detail on the back I was not a fan of the (what I would call gaudy) gold buttons. Not the greatest pictures but you get the idea. Gaudy to subtle.. still gold to match the gold detail in the back. Next up was a refashion for my trip. I have these great linen trousers. I got them for a steal because 2 of the belt loops needed to be fixed. I was never happy with the white panel along the front. I thought they would look way better with defined pockets. So that is what I did! Then we had a week at home when my oldest had pinkeye (lovely) so I thought she needed a pick me up and got to work on a refashion for her. All I really had to do was take up the shoulder straps. I had to make darts on the back straps so they matched up evenly. I also shortened the belt rope. Turned out super cute! And one more for me, also for my trip! I had these cute wedges that I purchased online last year. The blue was OK.. but I’m really hard on my shoes so they didn’t stay nice and blue for long. And they really didn’t go with very much in my wardrobe. So I decided to paint the canvas (blue) part. 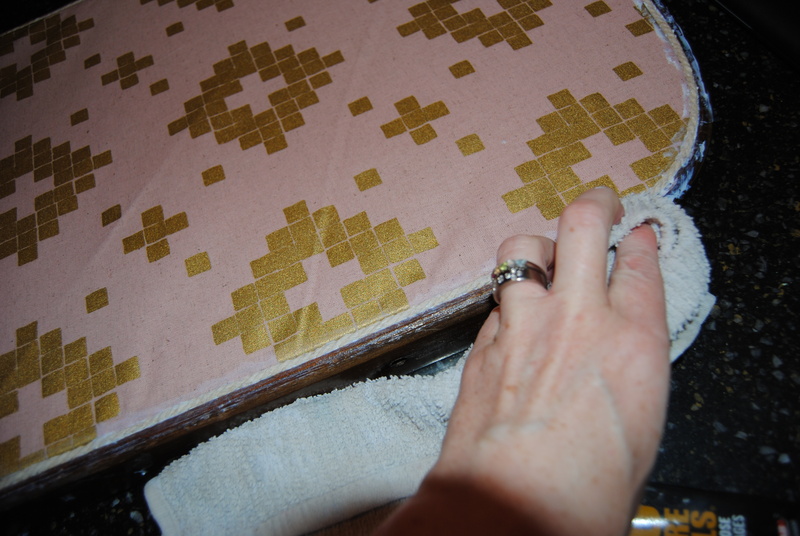 I just used acrylic craft paint that I had on hand in a khaki greenie-brown. It was a very easy project. 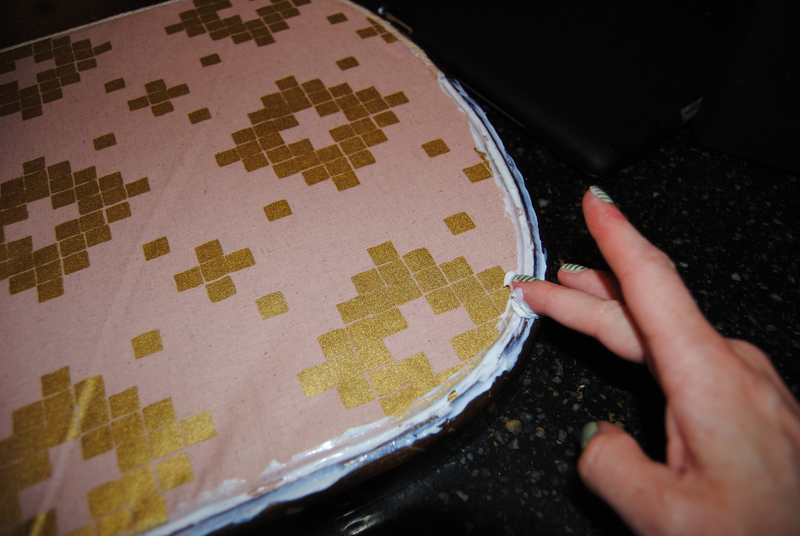 I painted away and wiped the excess off the leather parts as I went. They turned out way better! I have 2 more refashions to share but they get their own posts, stay tuned! 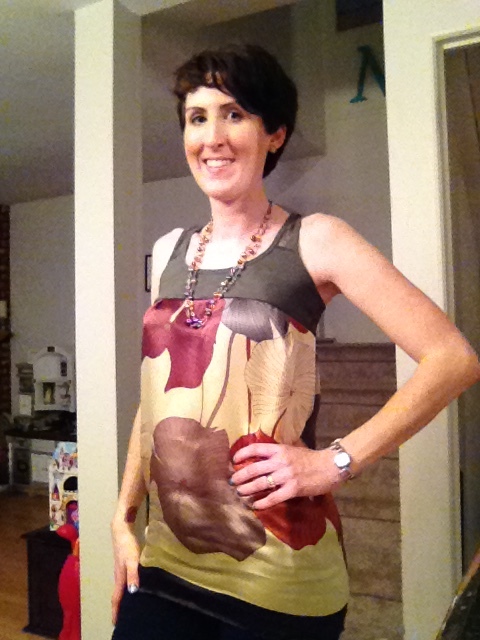 This entry was posted in Uncategorized and tagged DIY, refashion on March 31, 2015 by whyknotmom. 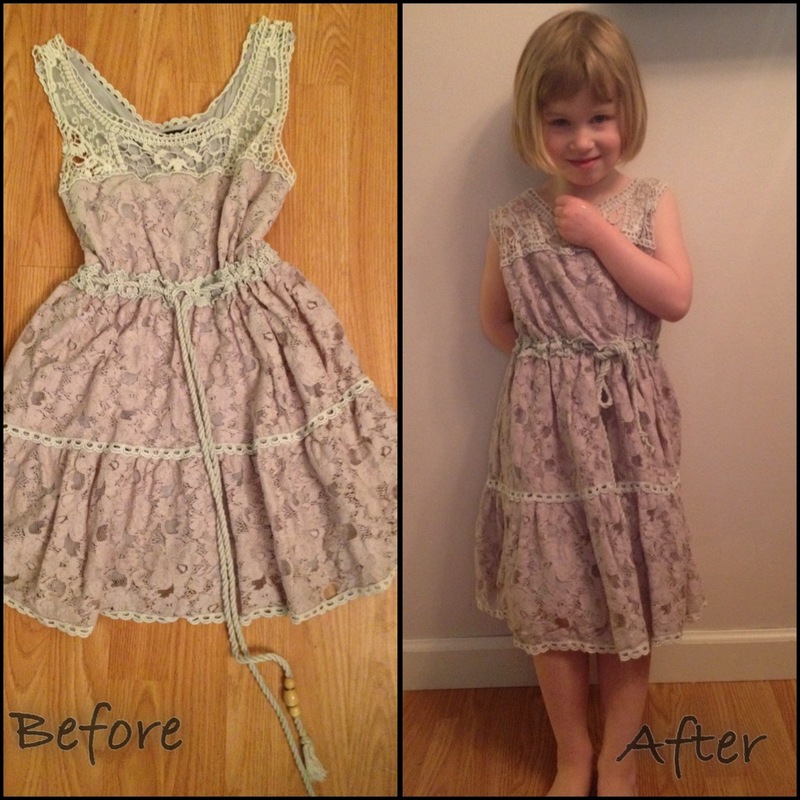 Oh how I love an easy refashion, especially when it works out this well! I knew I wanted to make it in to a shirt and thought I wanted to find a brown tank top or t-shirt to cut off and then have the scarf be the bottom. Flash forward to last night when I was staring at my closet and wondering what to wear out to dinner with a girlfriend. Sometimes I have all these refashion ideas dancing in my head that I haven’t had time to do and then I look at my closet and feel really dissatisfied and annoyed by my time constraints! So I’m standing there staring and the kids are in the bathtub while my husband supervises (that’s his time with them most days) and my youngest is pouring water with her bathtub tea set and my oldest is doing who knows what while loudly singing karma chameleon (not kidding) but to a 4 year old this is comma chameleo over and over and over and over 🙂 So I dug through my drawer to see if I had any brown T’s or tanks I could cut off and found an olive green one.. hey that will do. Popped my head in the bathroom and asked if they were ok. He says yes, so I said I’m just going to make a shirt real quick then. He laughed and said ok. I’m not certain he thought I was serious! 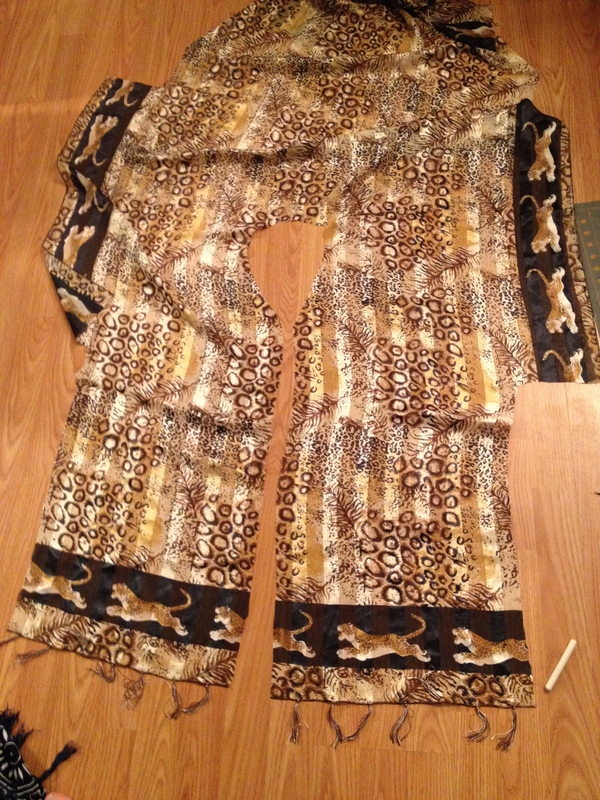 So I sewed a tube with the scarf and pulled it on to measure where I thought I should chop. And then chopped the tank. 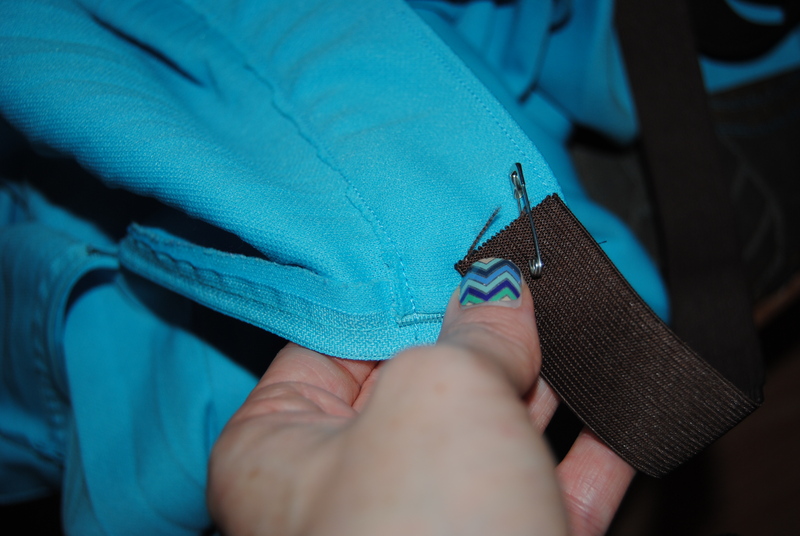 I then marked the front and sides of the scarf tube and the tank top with pins so I knew where to connect them. I ran upstairs and gave it a quick iron. Helped with pj’s and stories and then needed to get out the door. I used my handy dandy self-timer on my iphone to capture these super high quality pics on my way out the door. This entry was posted in Refashion and tagged DIY, handmade, refashion, sewing, upcycle, whyknotmom on March 18, 2015 by whyknotmom. So this isn’t going to be a how to or tutorial.. As with many of my projects, when I have time, I usual sneaking in to the kitchen or sit at the sewing machine when the girls are contently playing by themselves or with daddy. Sometimes this is a 5 minute reprieve/craft time for me and sometimes it is longer. BUT since I have to be stealth about it I don’t always remember to bring the camera and/or phone in to the work space with me.. I did the first time I attempted this, but it took me 2 tries. Anyway, this is where I got the idea. 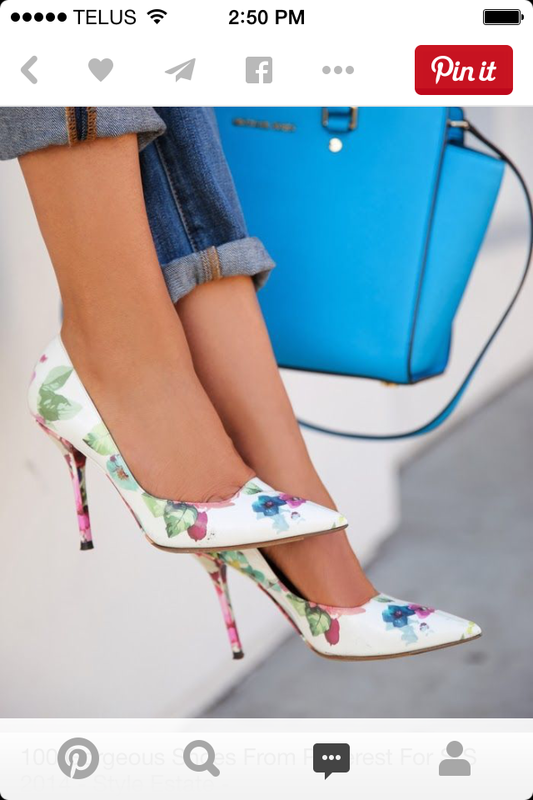 I saw these lovely floral shoes on Pinterest that I loved. But I’m doing this whole -not acquiring anything new for myself- challenge in 2015 so I wasn’t about to seek these shoes out (but in the interest of full disclosure I rarely buy name brand shoes, so it probably would only have gone as far as an internet search anyway). The beautiful thing about my (and some of my co-worker’s) not acquiring challenge is that it is challenging me. It’s not super far fetched for me to not buy anything for myself for a while. I was going a long time between buying anything for myself since my kids were born BUT for some reason trying to eliminate it completely is adding a little extra fuel to the refashioning fire. Meaning were it not for this challenge I probably would have sat on the couch, or enjoyed a cup of tea, or worked on our taxes, while the kids occupied themselves this weekend rather than trying to create a free version of a pair of shoes I saw on Pinterest. 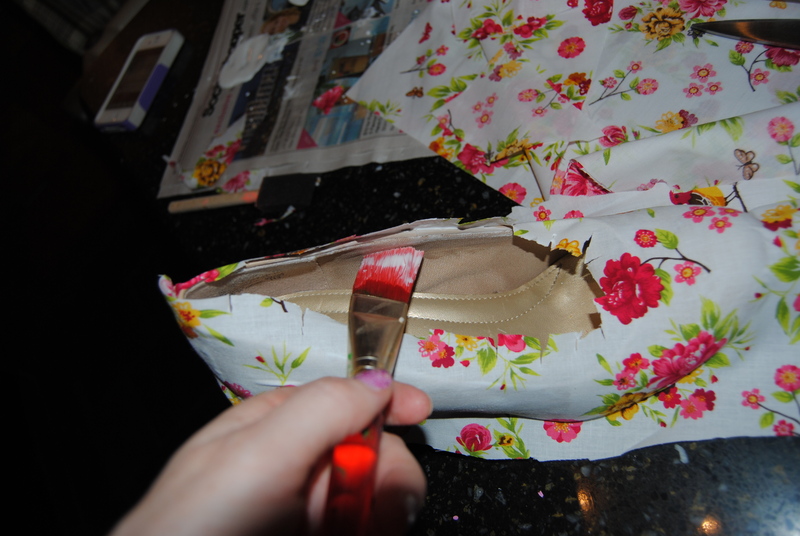 So here is what the shoes looked like before with most of what I used to re-do them. 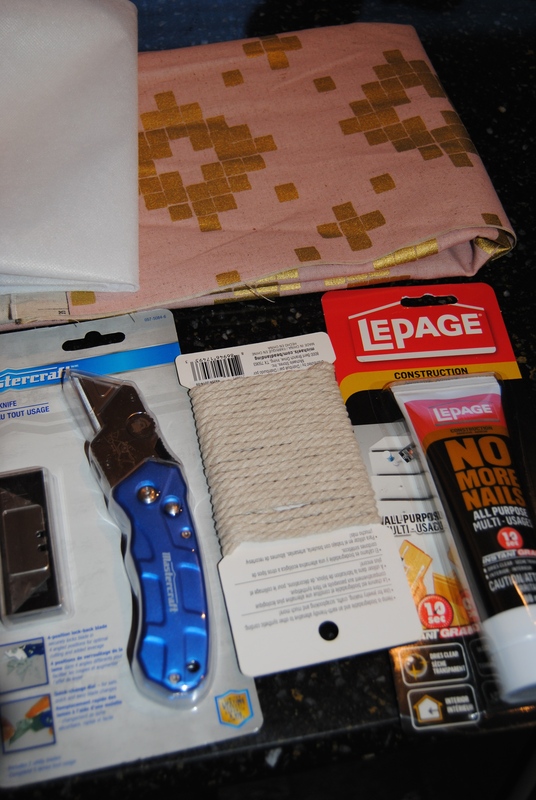 Not shown are the small craft scissors I used for trimming or the sealant I used at the end. 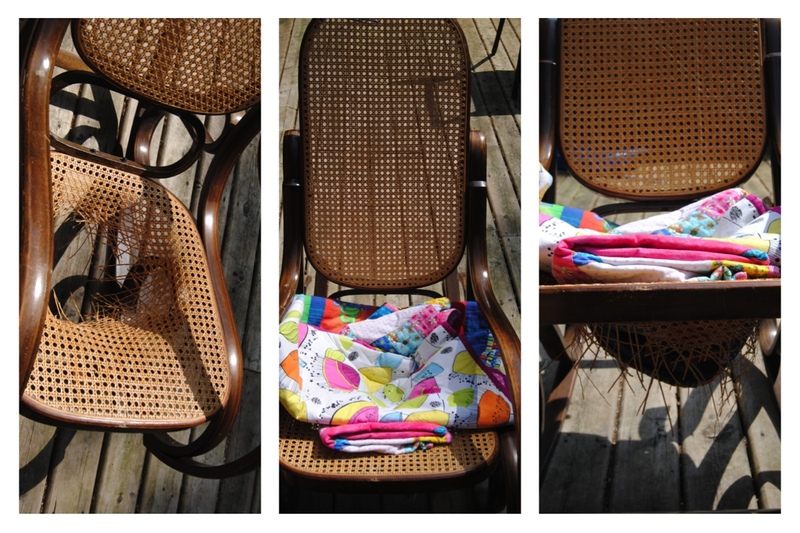 I used a varathane you would probably use to seal patio furniture. Probably not the ideal product but it is what we had 😛 During: This is my first attempt when I had the camera with me. And after a day at work: photo with bad angle courtesy of: Kassidy 4yo. 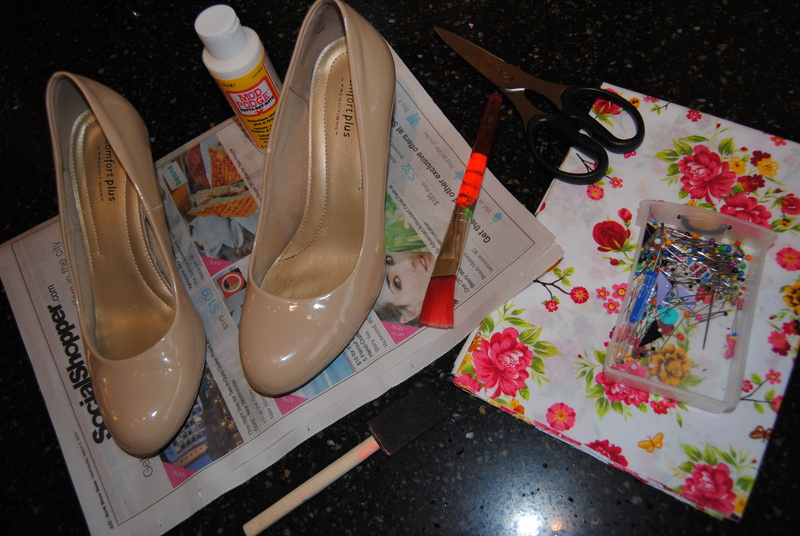 This entry was posted in Refashion and tagged DIY, refashion, shoe re-do, upcycle on March 9, 2015 by whyknotmom. 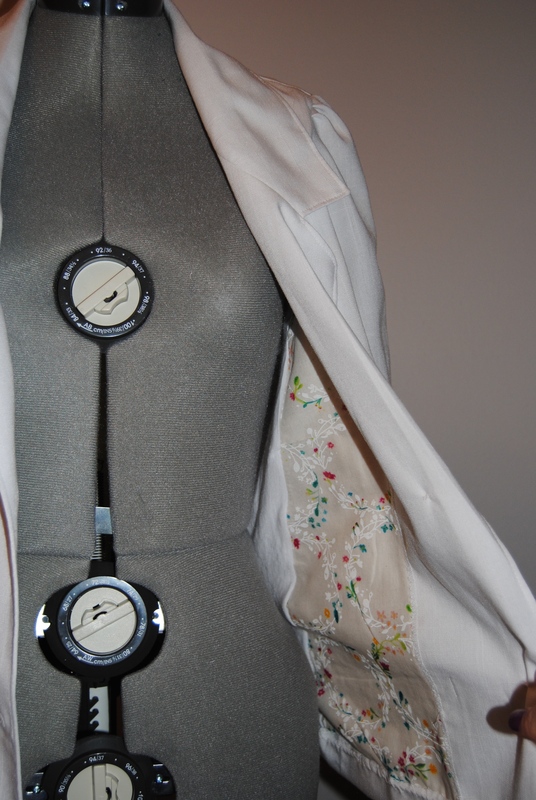 I have another blazer re-fash for you. 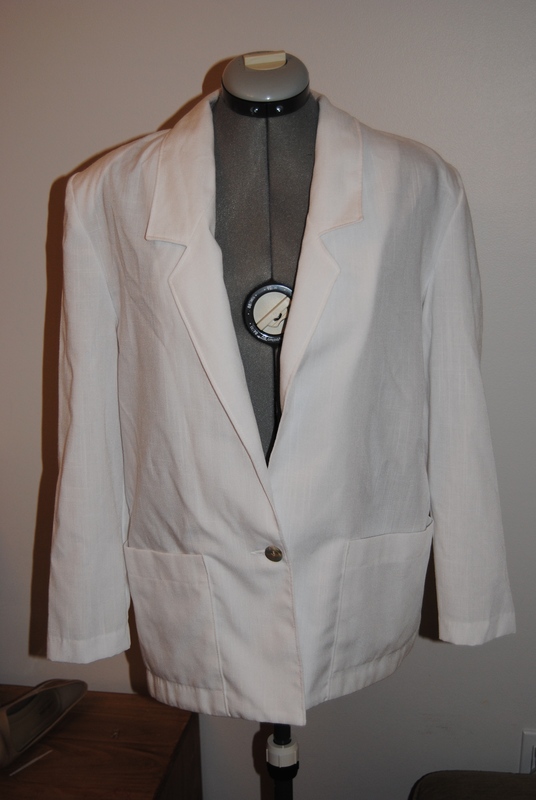 I don’t often go to the thrift store with a specific item in mind to refashion, but after a BAD household Sickuary… (actually I have a much worse name for February, but I will keep it clean) and lots of time on Pinterest looking at mindless things like “women’s fashion” I had a whilte blazer in mind. 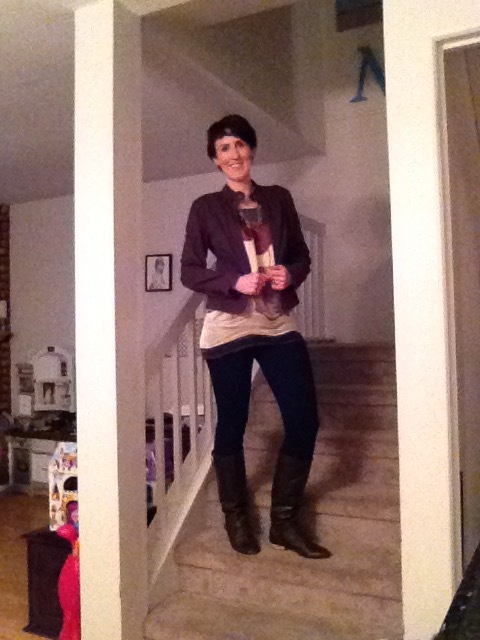 Since we have had hints of spring weather here lately I thought I would bump it to the top of my refashion list. So I did find this large one. 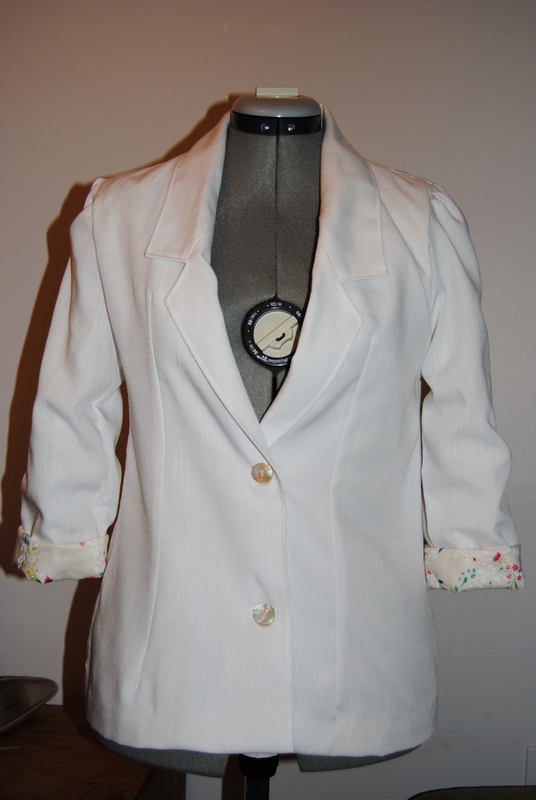 It almost looked more like a lab coat than a blazer. Couple of pros and cons. Con: Polyester and rayon. Enough said. Con: not lined and very see-through. Pro: made in Canada! Pro: a couple of sizes too big. The reason I like to buy blazers big is because I am pear shaped. My dress form doesn’t truly go small enough to represent my (sad) small, post children bust and it’s open quite a few notches on the hips. 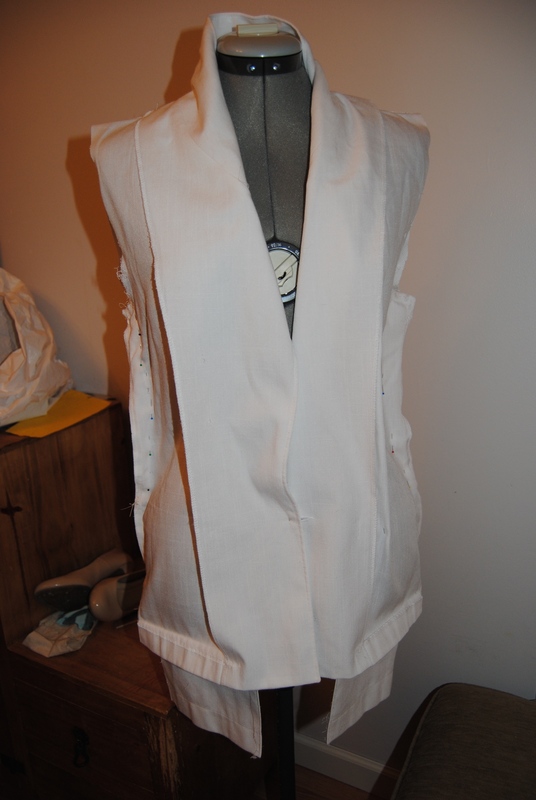 Anyway, I have found that I get a fit I like better if I start big and then do the alterations. Multi-tasking with my MyVegas game.. trying to earn free things for my upcoming trop to Vegas! So then I sort of lost interest with my camera a bit. Truth is I have absolutely no idea how to properly line a blazer. I completely winged it and made it up as I went along, and consequently forgot about taking pictures. 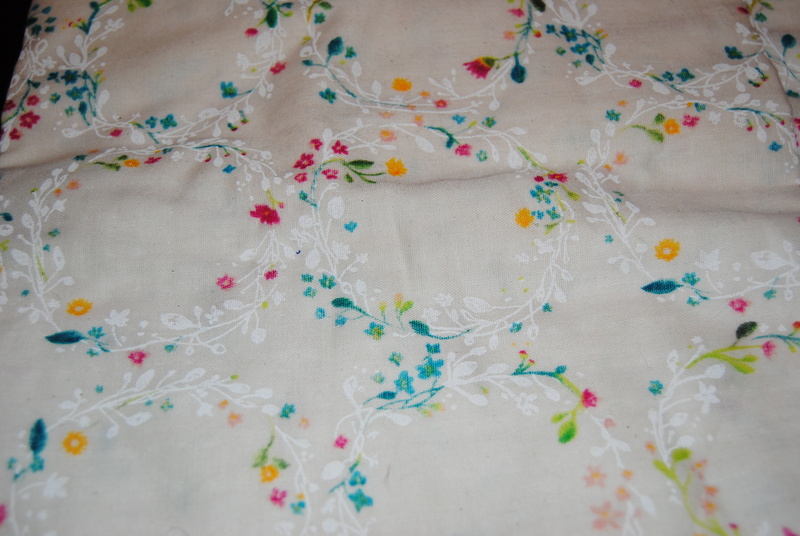 I used this lovely double gauze I had in my stash. Lined the arms and the front panel with this and then a very thin white jersey for the back. 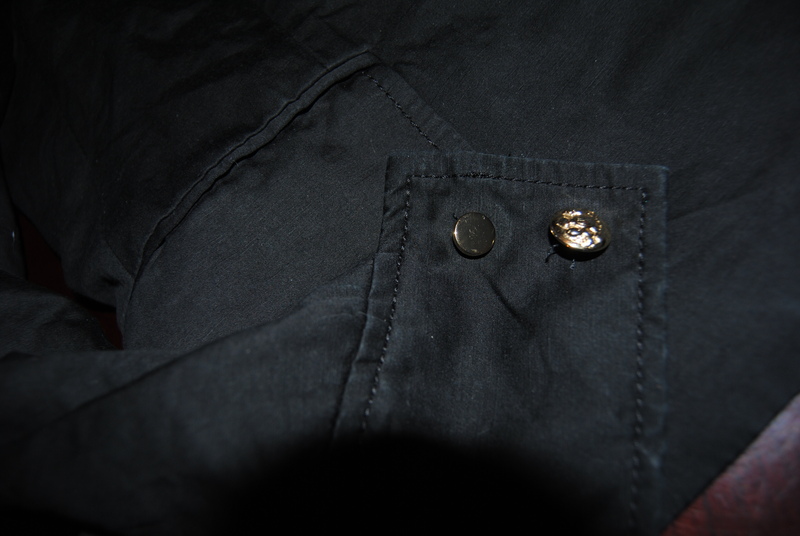 Lastly steps: I made a second button hole and moved the original button. 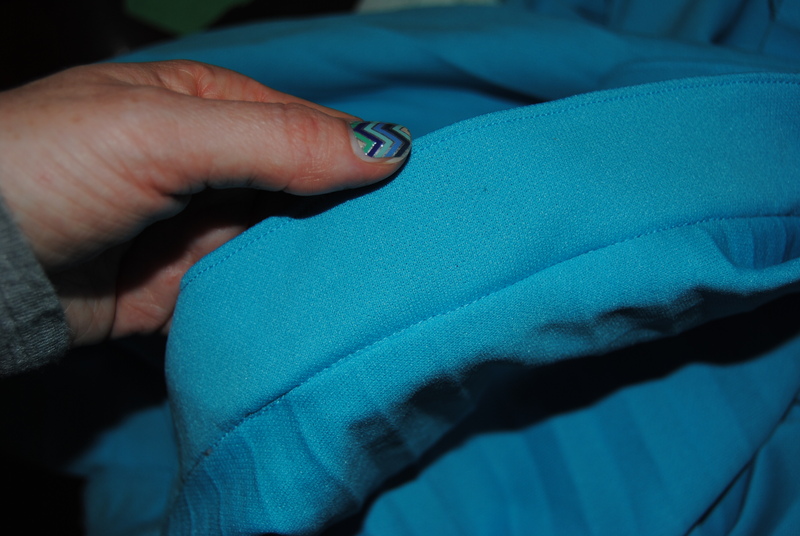 I cuffed the arms and hand sewed them in to place and also took up the hem a little bit and hand sewed that as well. 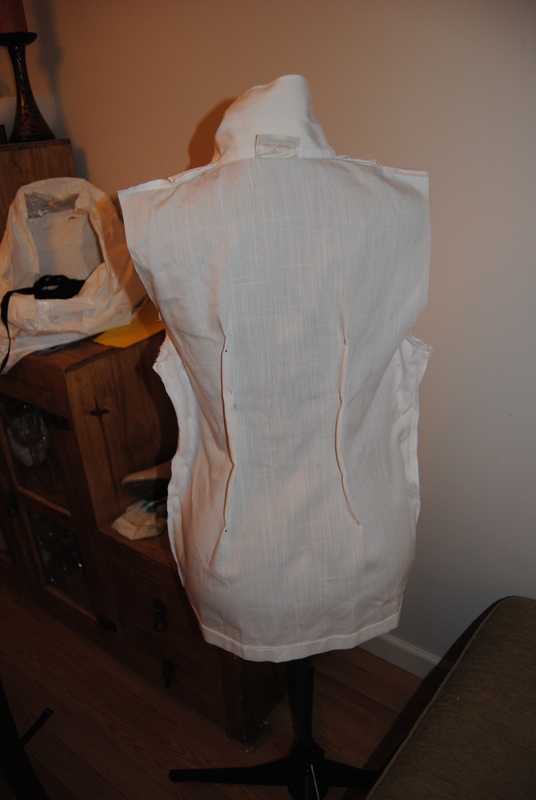 Then I made some new shoulder pads with the pockets I took off in the beginning. Doesn’t really show how thick and horrible these puppies are! 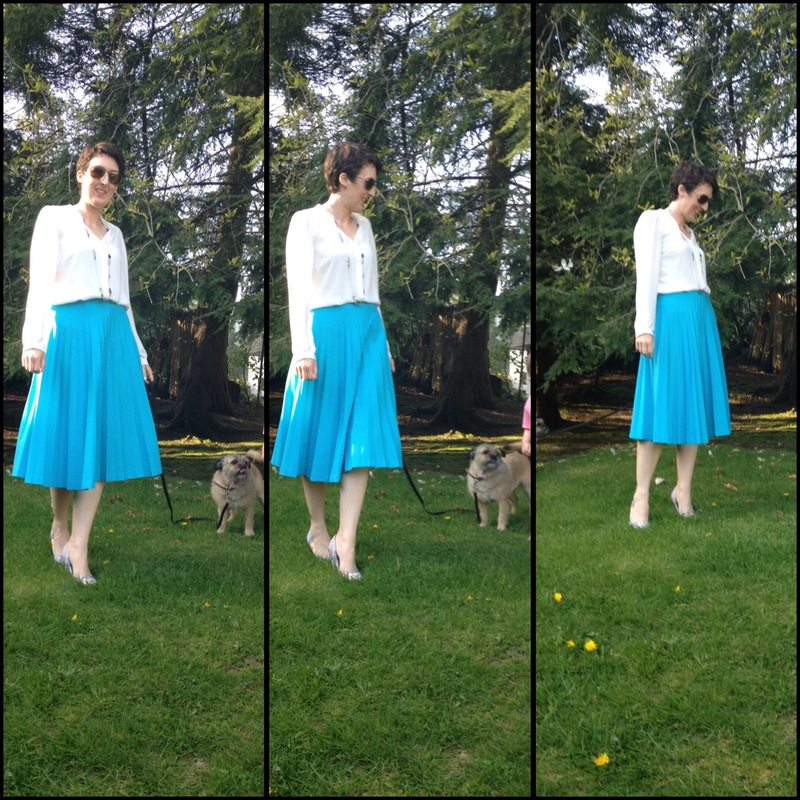 This entry was posted in Uncategorized and tagged refashion on March 1, 2015 by whyknotmom. Tunes in my ears, dirt under my feet, sun on my shoulders. Sometimes I feel guilty that I don’t have a typical 9-5 but then I run that out of my mind 🤪 Life is short!